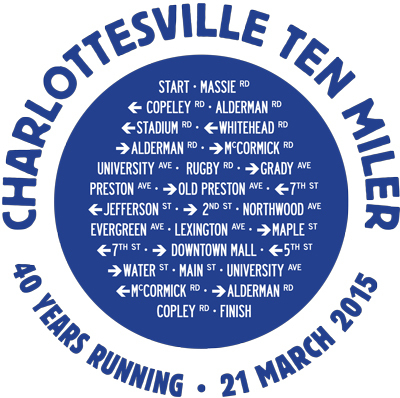 Registration for the Charlottesville Ten Miler on March 21, 2015 is now open! *Charlottesville Track Club members receive a $1 discount. PLEASE NOTE: NO REFUNDS, DEFERRALS OR TRANSFERS! Who is the beneficiary of the Charlottesville Ten Miler? Proceeds from the 40th running of the Charlottesville 10 Miler will help fund Hope House and Steps To Success. Hope House is a family stabilization program for homeless or imminently homeless families. Steps To Success is a program designed to help families secure and manage the resources necessary to overcome barriers to success, especially through sound money management practices.